Not the smartphone you are looking for. 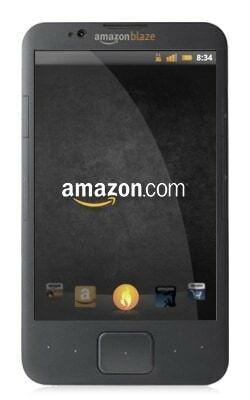 Rumors about Amazon's smartphone have been circulating since 2011, and today it suddenly got a firm release date and a some impressive specs. So it's going to have 4 front-facing cameras, huh? Boy is my face red. The details reported by the WSJ sound a lot like the speculation which was reported last month. Ming-Chi Kuo claimed that the Amazon smartphone would have 6 cameras, including "four cameras will be used for gesture control, allowing users to operate the smartphone without touching the touch panel." Yes, that is the speculation that I called hogwash, which in retrospect may have turned out to be the wrong call. Whoops. In my defense, it was safe to bet against the analyst being right, especially when he was mentioned by name as having a 50-50 accuracy. His prediction sounded outrageous then, and it still does. I have trouble believing that Amazon is going to release a smartphone with 6 cameras. I believe a smartphone is coming, and I believe that it will have at least one camera, but 6 cameras? On a technical level, that simply doesn't pass my BS filter. I can't give you a specific technical reason, but I have trouble believing that it can be made to work or that Amazon can make the phone cheaply enough. But my doubts don't matter much, because all signs point to me being wrong. Cams are cheap, they could use low res ones (4 lower res ones should not cost more than a high res back cam) ,guess they would need high FPS while latency and battery life could be a problem. But it’s hard to see a point to it, not an easy job to create a functional 3D UI. Then again it would help them further down the road with an UI for glasses. I’m not convinced you would need four cameras for this (or for gesture tracking, for that matter). I’m also not convinced that object recognition tech is good enough to track your eyeball.